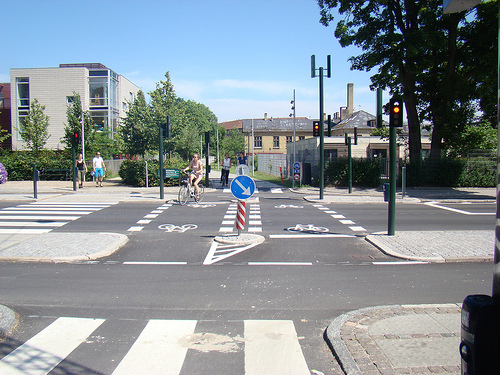 Cyclists and pedestrians kept apart at a road crossing on a greenway in Copenhagen. Recently we questioned Why are Irish councils obsessed with mixing cyclists and pedestrians? 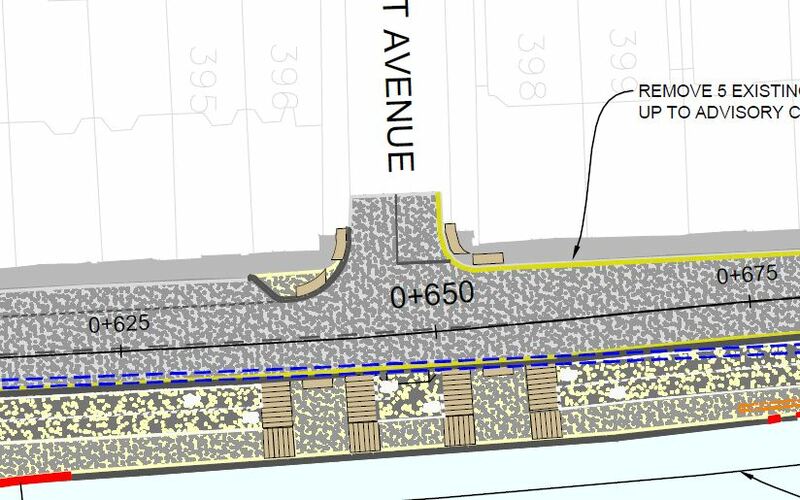 A prime example is the planned section of the Sutton to Sandycove cycleway between Clontarf and Dollymount, and Bull Island (details here, public consultation date passed). This is a cycle route which is supposed to — at some stage in the future — stretch from one end of Dublin Bay to the other. But even in the short term it is set to go non-stop from Sutton to at least Fairview, or East Wall Road. It has a huge potential to offer commuters a high-quality off-road cycle route which is comfortable and gives cyclists half decent priority. But it looks as if we’re not getting that. Further north again at Dollymount Avenue shared use footpath again interrupts the cycleway… but why is there no shared use interrupting the road? Why is there no zebra crossing? Or no marked pedestrian crossing of any type? The smooth hard surface of the cycleway is also interrupted by slabs with groves in them… but why no groves or speed ramps on the road? 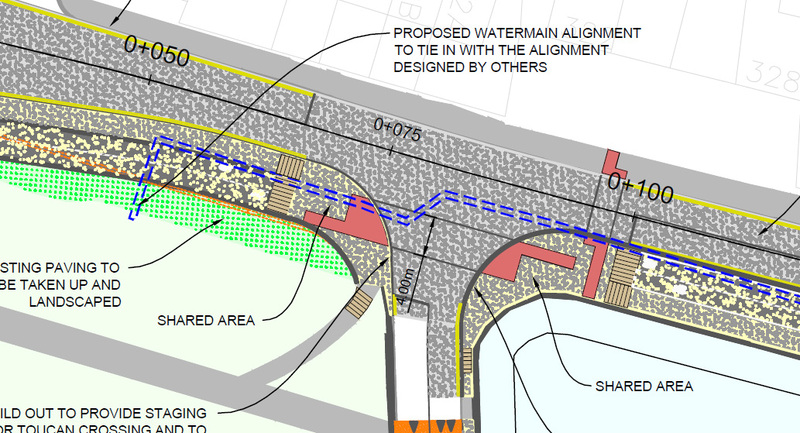 According to the drawings of what the council has planned, cyclists — who are essential cycling along the main road — are still going to have zero priority over a road into a beach. The road will be marginality narrowed — but cyclists of all ages and abilities will still have to cross a cycle lane, two traffic lanes in one direction and a wide traffic lane in the other direction and all in one go without any centre island and apparently nothing on the road surface to highlight that it’s a crossing. They could have used a raised surface for the crossing (as is used by the flood defences, shown in orange in the drawing above) and even went as far as put yield signs down for those driving in and out of the beach. 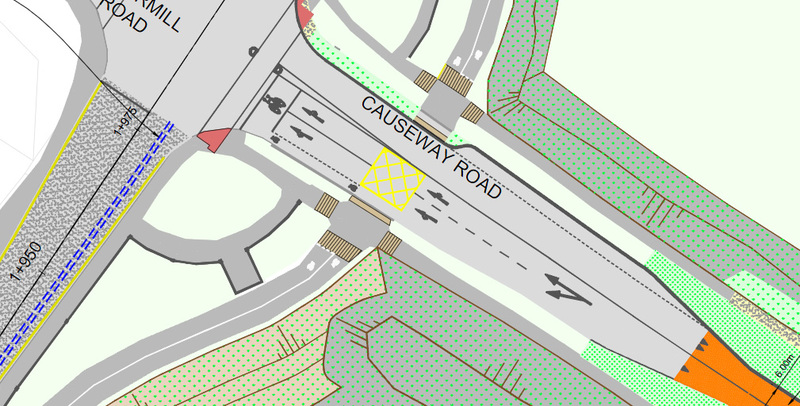 Or, keeping with the idea of no priority for cyclists on a main route, they could have included a centre island. But, instead, we get a wide road to cross and more conflict-creating shared use on both sides. I will continue to use the road if I think I might be faced with a stupid mother leading her children in the bike lane, as is often the case in Clontarf. 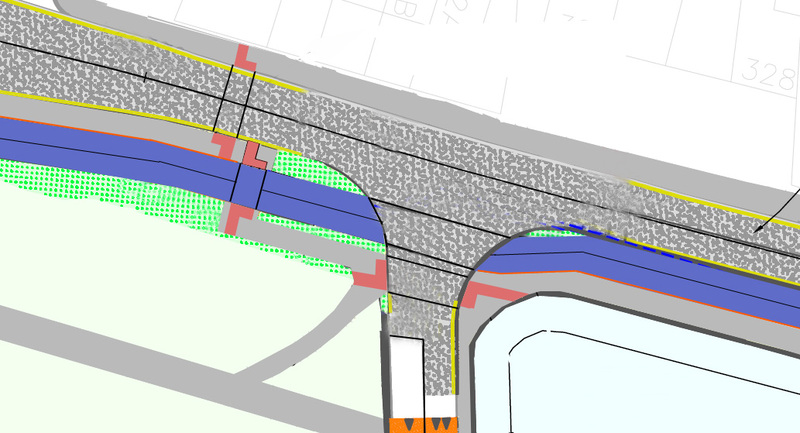 Looking at the plans, any cyclist is going to ignore the cycle lane and use the road. Madness. And will lead to councillors using this as a justification that cycle lanes do not deserve scant resources. Well I think cyclists will use it as the road opposite St Annes Park is so riddled with potholes and cars parked in the “bike lane” that one is forced to cycle out near the broken line in the middle of the road. Pedestrians will eventually learn to avoid cyclists, begrudgingly so, although it won’t stop them using the bike lane to jog (as I constantly face each day in the Phoenix Park). One has to wonder if cycling clubs didn’t use them for racing on if the council might have second thoughts? After all it wouldn’t be a bad idea to impose speed limits for cyclists by having them negotiate hazards rather than introducing legislation and speedometers for cyclists.